Just harvested my first ever crop of garlic this morning! The bulbs aren’t gargantuan, like the garlic David grew on the farm in Olympia (pictures coming soon), but they are reasonably sized considering the amount of effort i put into them. 1. Shove garlic cloves pointy side up into the ground, about 2 inches deep and 6 inches away from each other. Do this in early fall. 2. 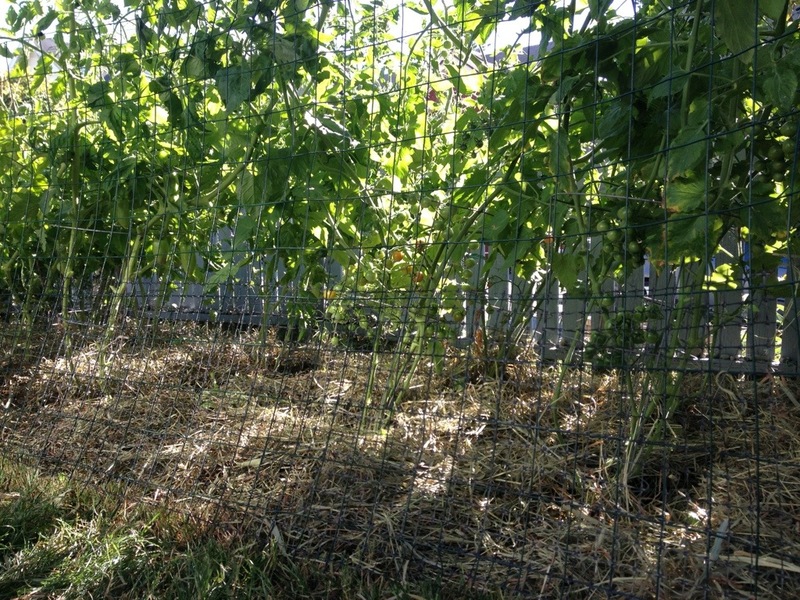 Cover soil in between with hay, fallen leaves, or other mulch. The garlic will send up shoots through even a thick layer of mulch. 3. 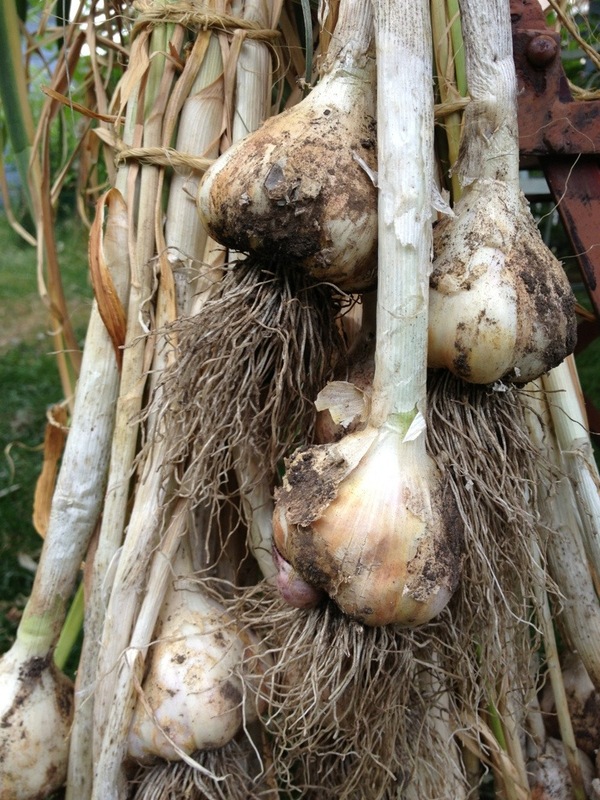 Totally neglect your garlic all winter and spring. 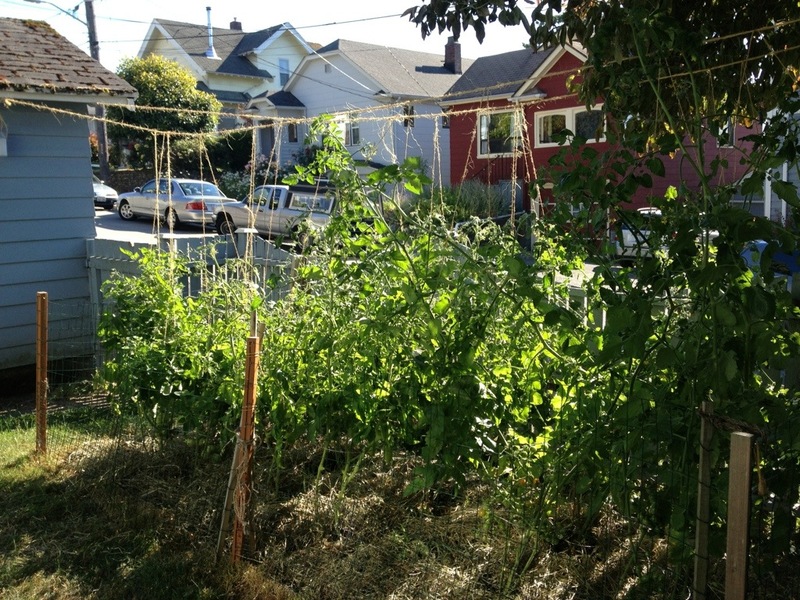 No water, no pruning, no weeding because the mulch keeps the weeds down. Also, forget what variety you have planted. Maybe you wrote it down somewhere? Nope… Damn. 4. In the summer, when a good portion of the leaves have turned brown and the stalks start to fall over (falling over may or may not be caused by chickens breasting them over as they search for bugs, as it was in my case), loosen the soil with a digging fork and pull the garlic heads out! 5. Save the best looking ones to plant this coming fall, even though you want to eat them. Curse yourself for not writing down what variety these were, because they turned out pretty well! 6. 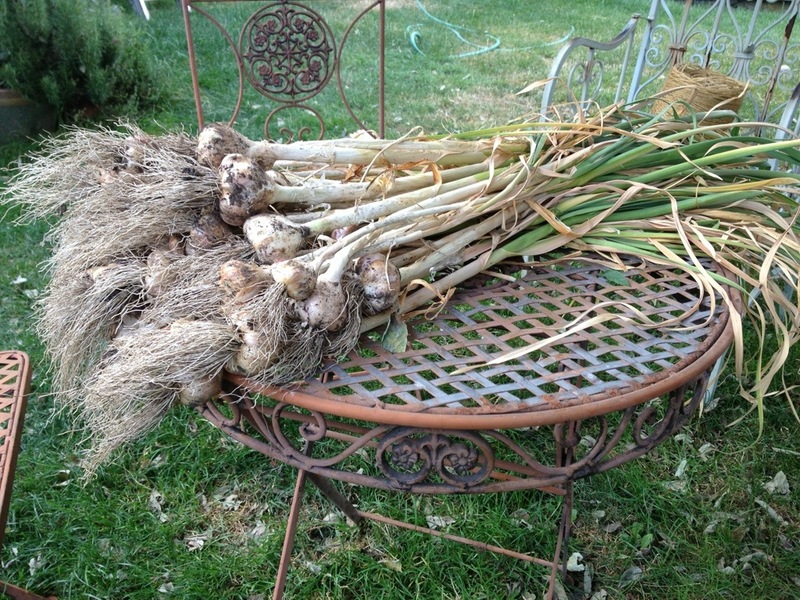 Tie all the garlic up in small bunches of 10 or so (or braid it! ), and hang in a coolish dry place that gets some air circulation, like the open garage. I’m going to let mine dry in loose bunches for a bit then braid it tightly. 7. Eat, share with friends, use for pickling over the next year. Trying to get back into blogging slowly. Have been in the garden and kitchen and pantry plenty, making jams and real fermented pickles, and even butchering our pig, but haven’t been writing. But, I have so many other things that distract me from finishing my PhD, this may as well be one of them! 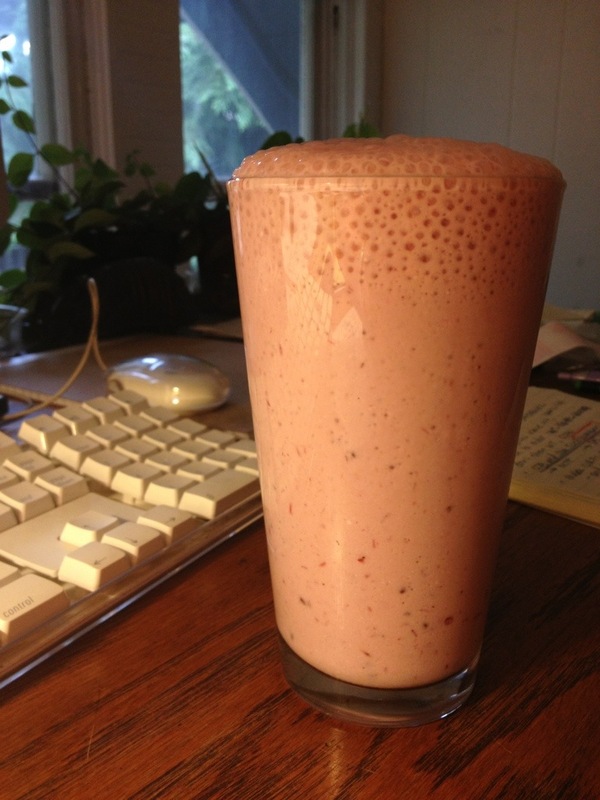 A while back I wrote about flavoring kefir with jam to make a delicious and nutritious drink. Usually I just stir it in with a spoon. This evening in a fit of “get me away from my computer! !” I decided I’d blend the kefir and jam with the beat stick. (Clever name I just came up with for the hand-held stick blender). The result is glorious! Blending makes it frothy like a pisco sour or… something else that’s sour and frothy. Mango lassi? The kefir: home cultured with grains and whole milk, past it’s normal drinking stage and super sour, super chunky. The jam: a blackberry-rhubarb concoction that’s more like syrup that I made from berries picked down on the Olympia farm and fresh rhubarb from the market.